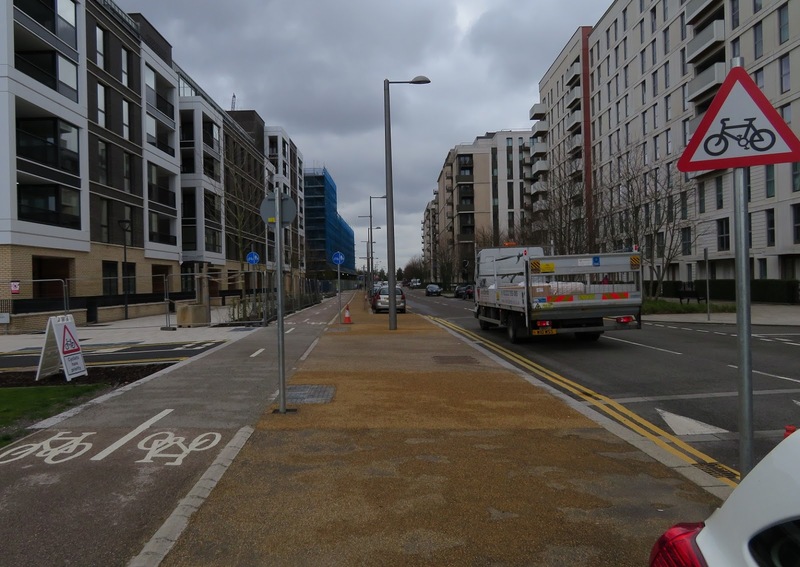 Unfortunately at the end of last year Peloton Avenue was extended south to link up with Honour Lea Avenue and it was a real shame to see the road was not 'filtered' so motor traffic could not use it as a through route. 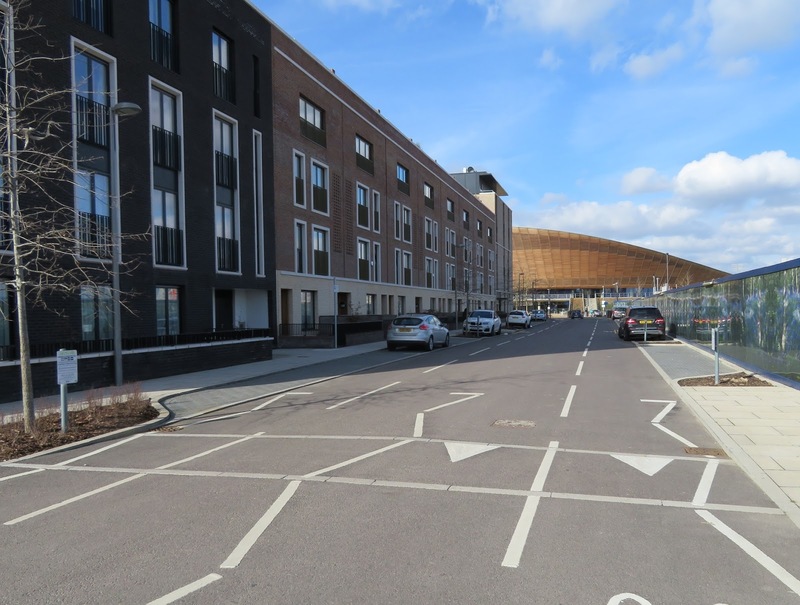 The painted cycle lanes are not very good at all, not wide enough to ride side by side in them, they are also located in the door zone of the car parking, with cars having to drive over them to park. 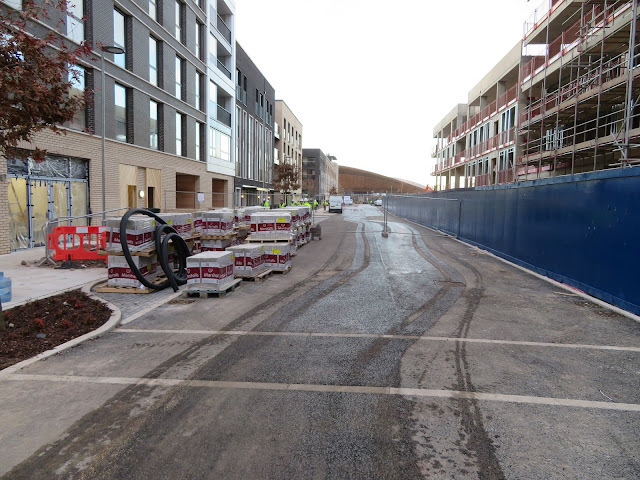 For the construction of a new road, initially for works access but eventually to become Madison Way, linking Villiers Gardens with Honour Lea Avenue. 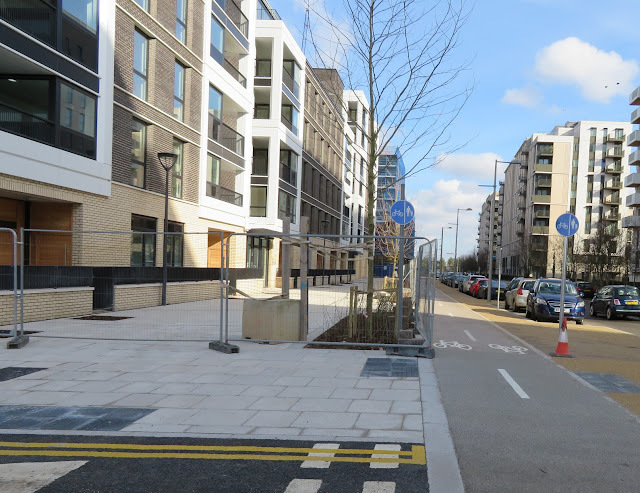 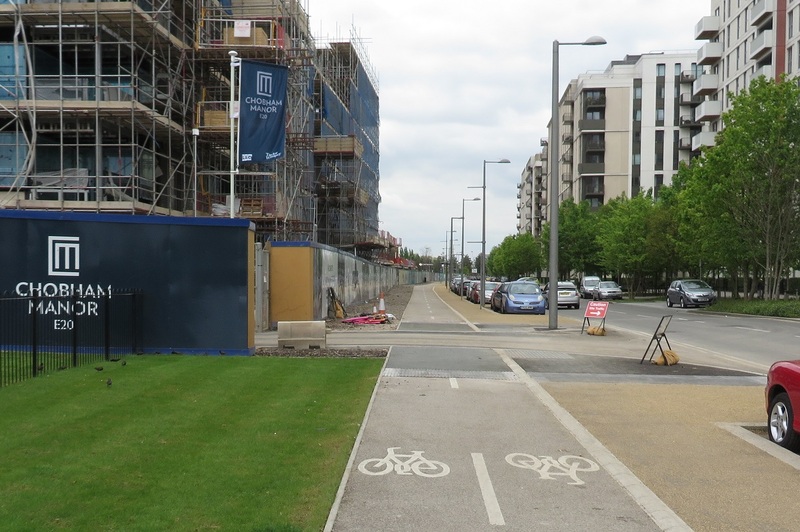 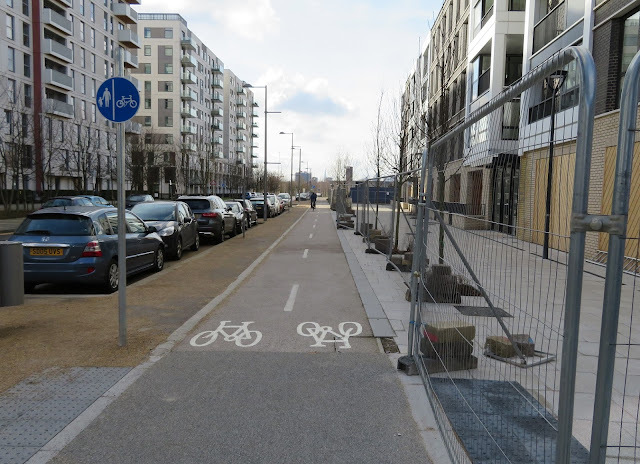 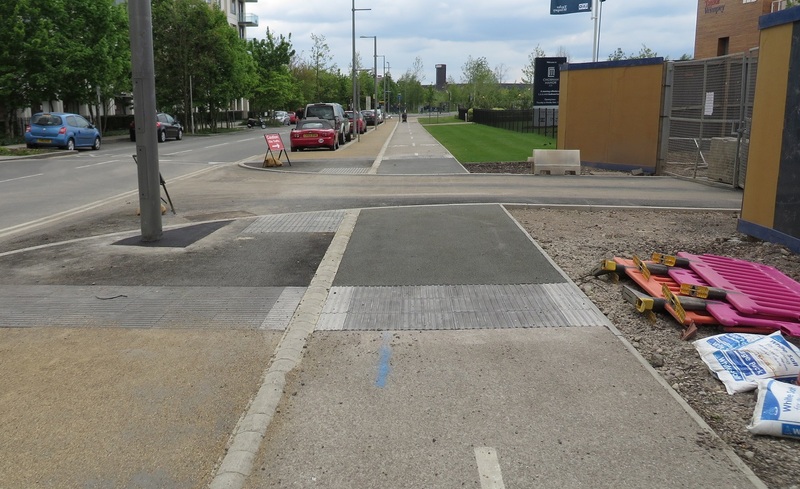 Thankfully the workmen have recently returned, removed the kerbs and paving and the cycle track is now continuous across the junction, although a shame the footway isn't. 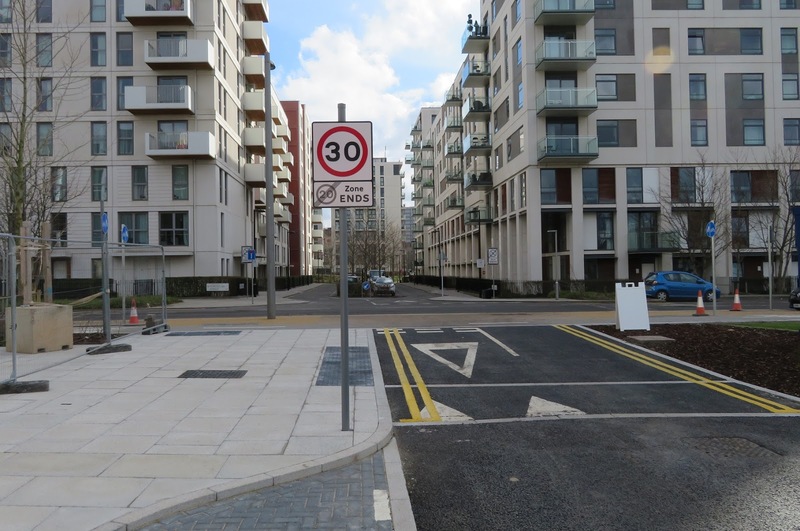 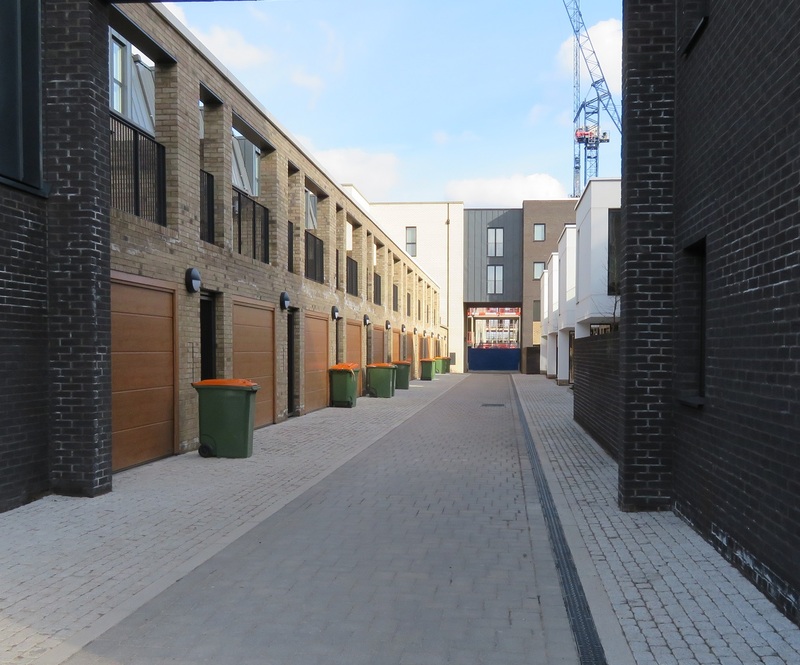 "Applying the LCDS levels of service street type matrix categorises Honour Lea Avenue into the local street category which does not require segregation. 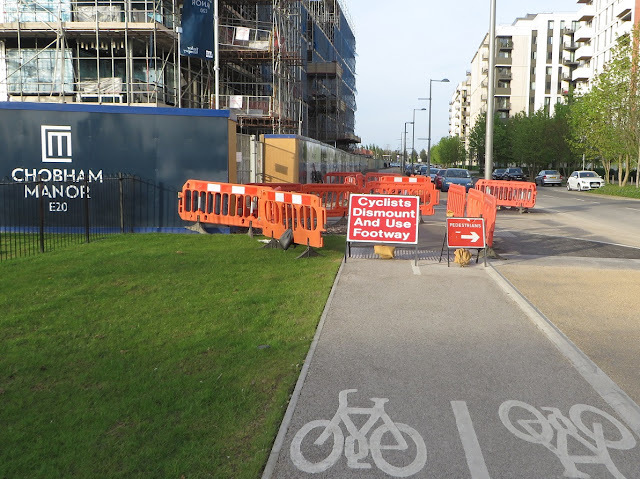 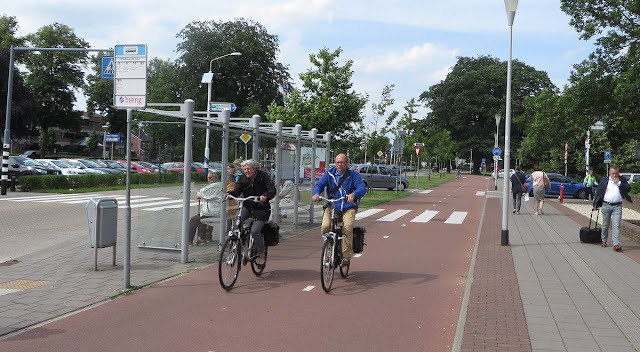 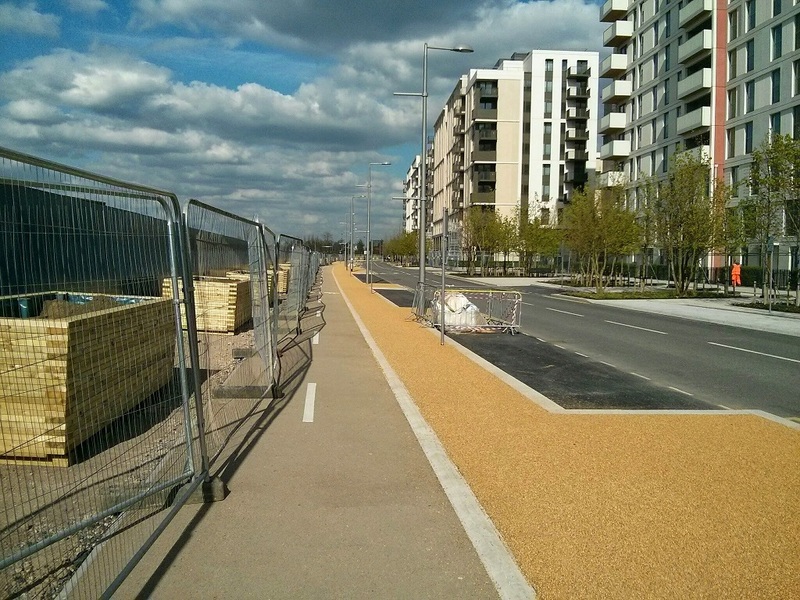 The existing two way track does not connect to cycle infrastructure at either end of it. 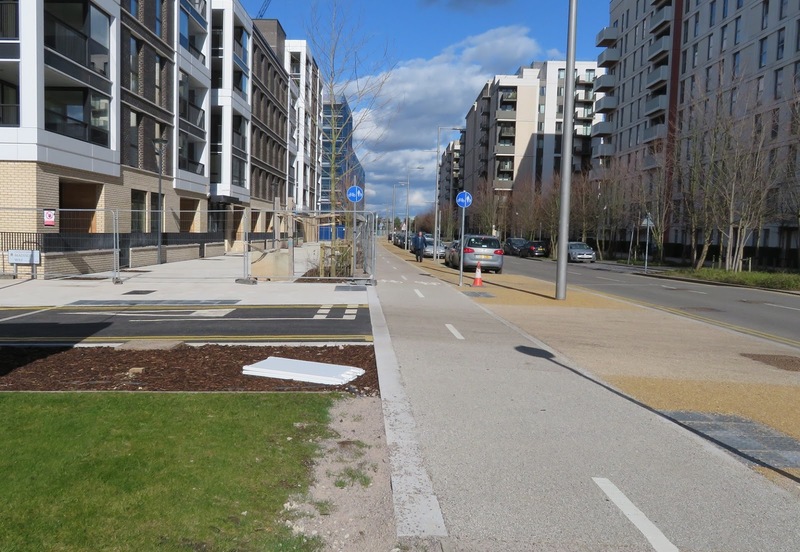 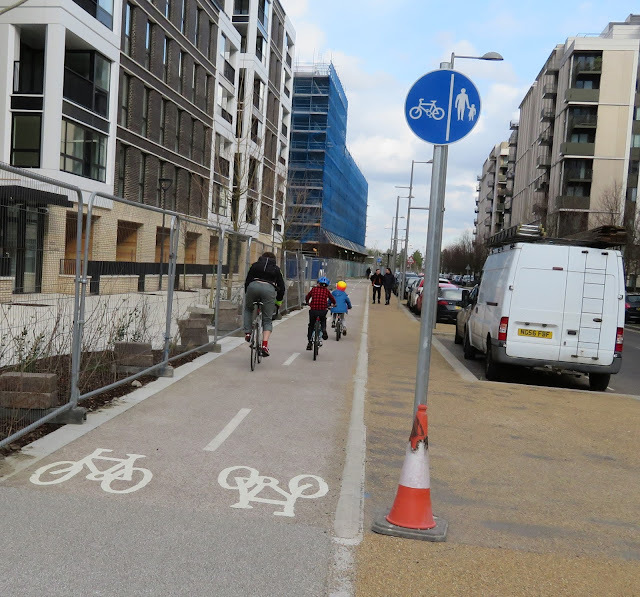 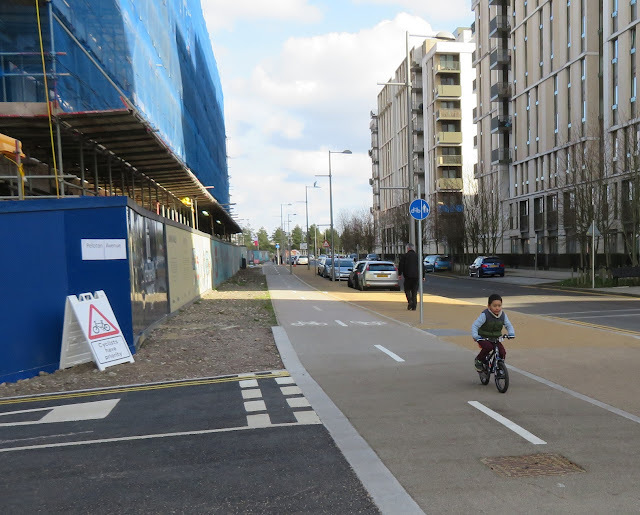 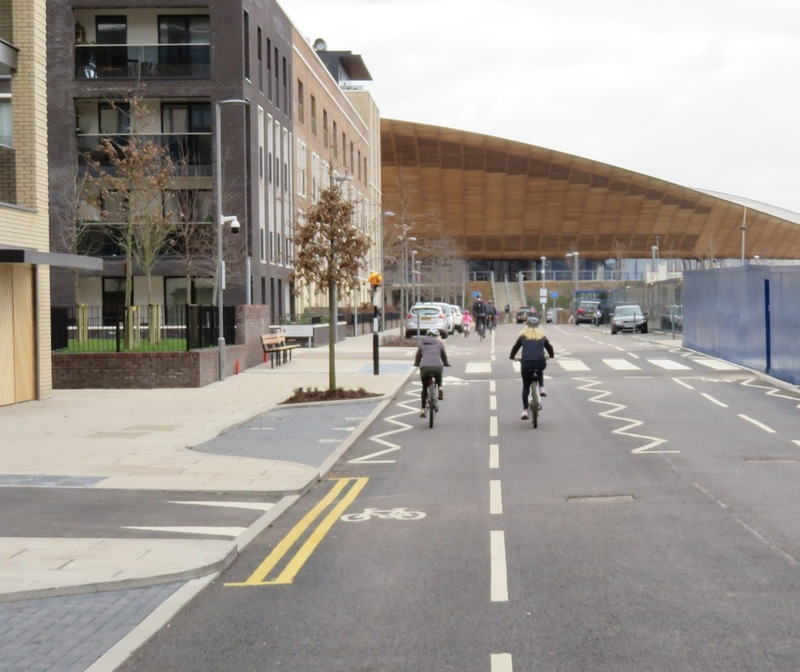 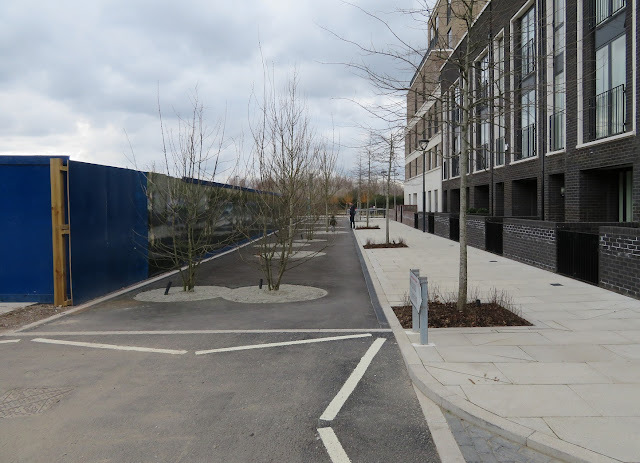 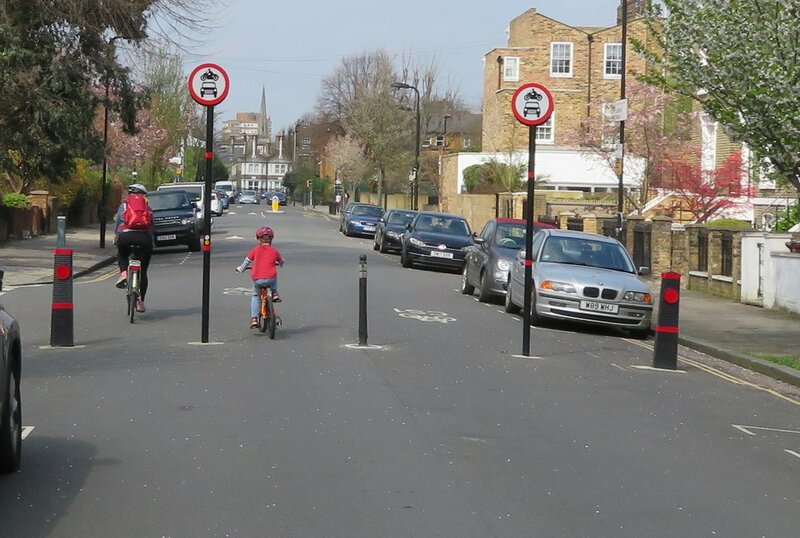 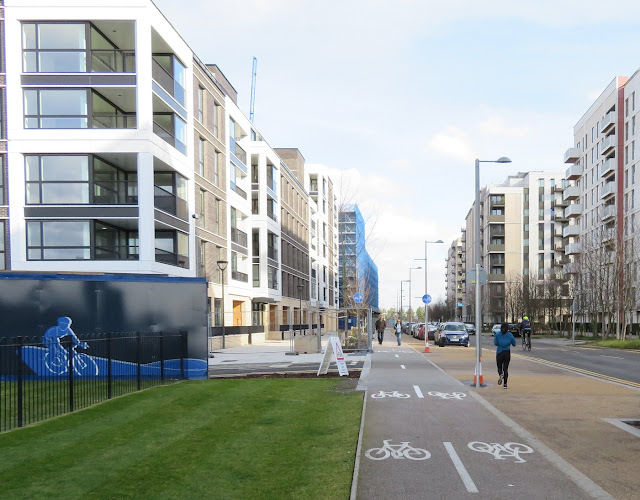 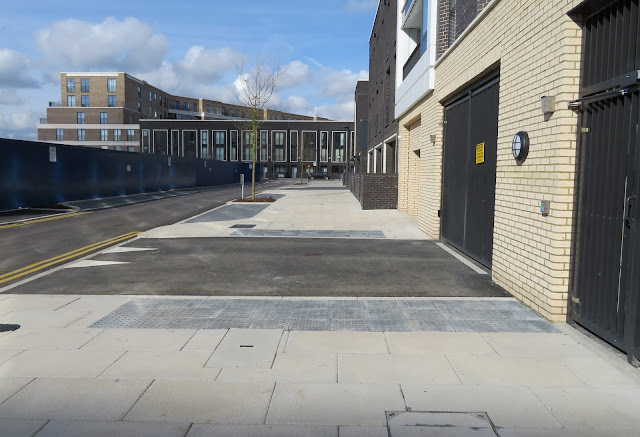 Using the link for the quietway would restrict local access for the route therefore a preference for keeping the quietway on street has been agreed by Newham Council, TFL and Sustrans"
I'll continue to use the cycle track and ignore the "quietway" carriageway altogether, as I suspect most families on bikes will! 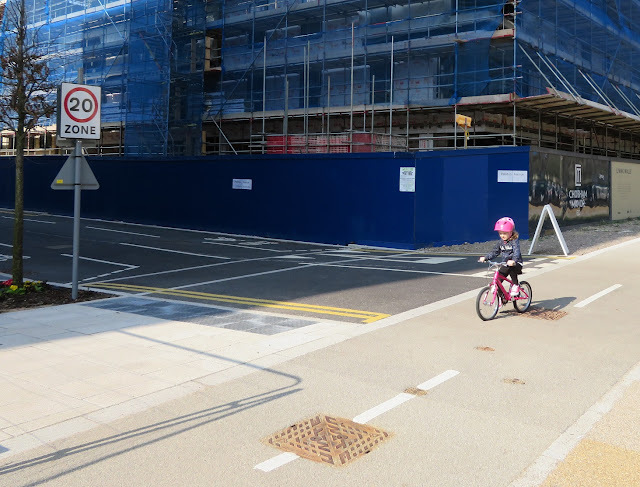 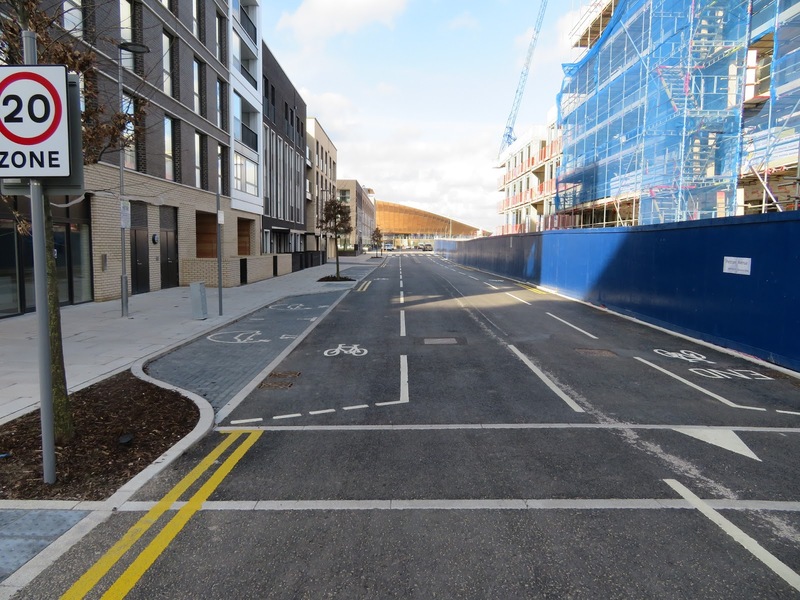 With the pavement, cycle track and door zone buffer this is almost the perfect layout - if only the cycle track wasn't so narrow and didn't give up entirely at either end! 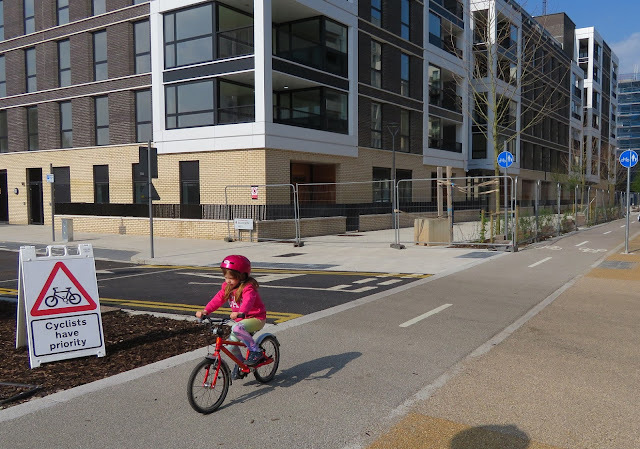 It's nice and I like that kids can play right outside their homes; I just wish the Peleton Avenue outside was closed to through traffic so kids could play in the street alongside too! There are not many people living in Chobham Manor so far but judging by the removal lorries and cardboard in the recycling bins every weekend that is soon set to change. 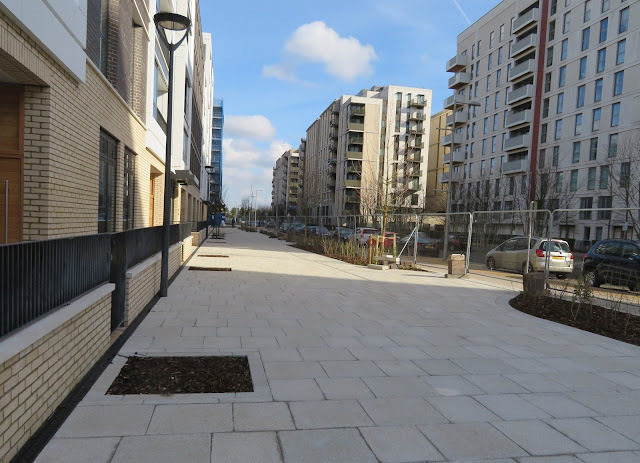 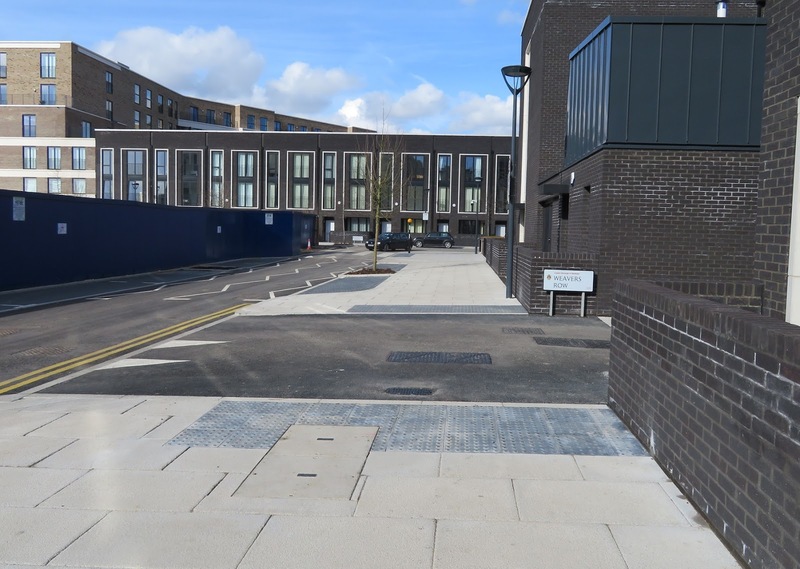 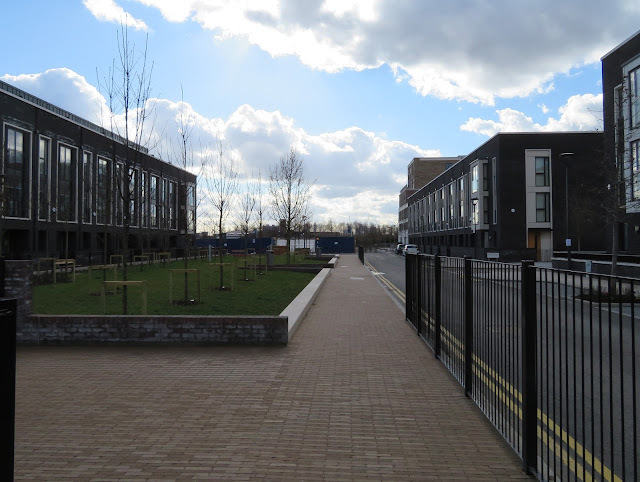 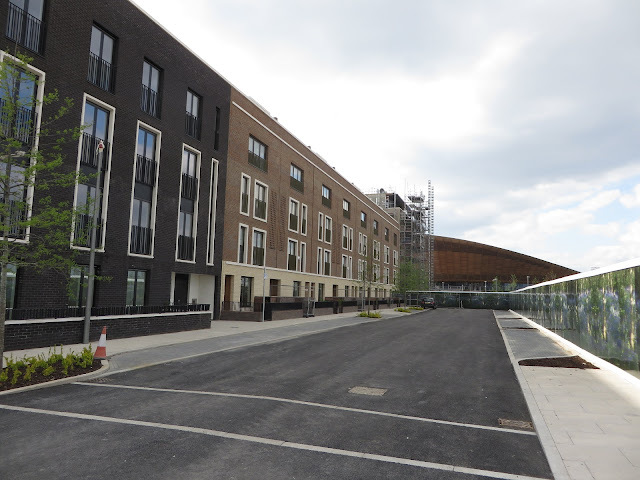 Construction of the rest of Chobham Manor continues alongside the recently completed area. If the legacy plans are to come to fruition and this neighbourhood is filled with families then I hope improvements do come to the roads and to walking and cycling provision. 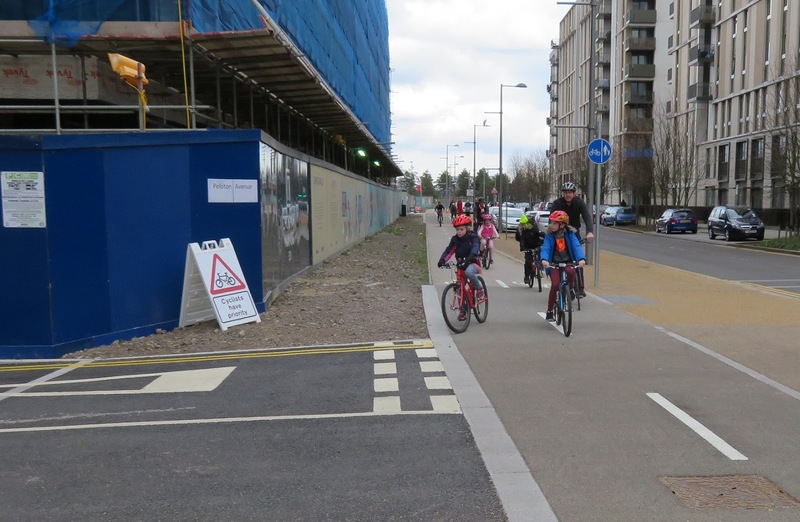 The families who will grow up here and call it home deserve to have infrastructure that allows them to be able to easily walk or cycle to local schools, shopping areas and parks in perfect safety.